Protesters, including First Nations people, blocking the road to Adani’s Abbott Point coal port. If the project goes ahead, the mine will release an estimated 4.64 gigatonnes of CO2 over 60 years and extract up to 60 million tonnes of coal per year. At least eight more mines in the Galilee Basin may follow, which could double Australia’s total exports of coal. 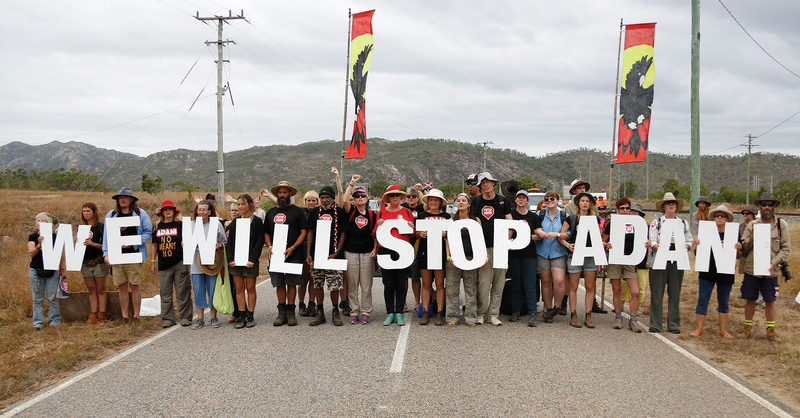 Australian opponents of the project are calling the campaign against the mine ‘the fight of our times’. According to Greenpeace, the plan to construct nine mines in the Galilee Basin is one of 14 global mega-projects that, if successful, will trigger a ‘carbon bomb’, increasing greenhouse gas emissions (GHG) by 20 per cent and causing a 5-6°C rise in global temperatures. The Carmichael project alone would produce enough GHG emissions that 200 such projects would exceed the threshold scientists say could avoid a 2°C rise. this is where your spiritual connection is.